Do you remember the days when you watched a TV show or a music video and there she was, a thing of beauty, dazzling the screen with her stunning good looks and you think “phwoar she’s nice”. So the search began, with it ending 5 minutes later thanks to Google. 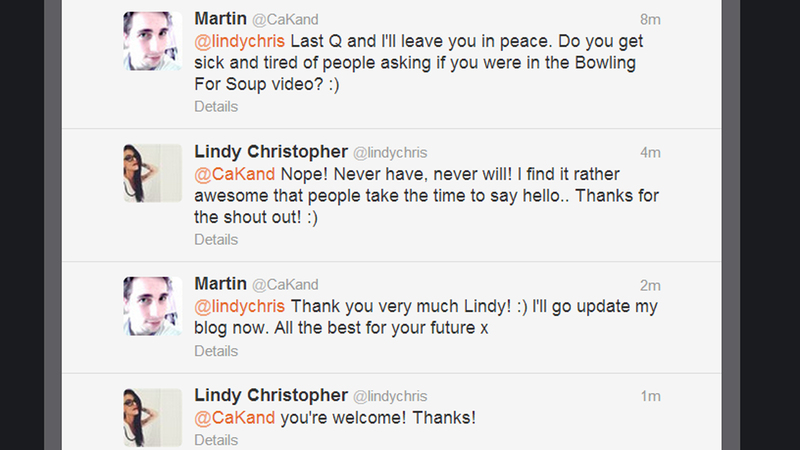 Her name, ladies and gents, is Lindy Christopher. The next thing I decided to look up about her was “What else was she in?” Apparently she was also in Buffy the Vampire Slayer in the episode “Hush” as Nora, but nothing else from what I could see. I found this peculiar as she seemed so nice (to look at) so I decided to find out what else she decided to do. Ten seconds later, I noticed she had a twitter account and found out that she is now a photographer and a mum, loves tattoos by the looks of her photos and that she has also turned Vegan for her own reasons. Without trying to sound like a stalker and to get more information, I followed and tweeted her, and when given time, she responded! Overall she has still kept her good looks, not a fan of tattoos personally, but doesn’t take away her natural beauty. It looks like she needs a bacon butty or two, which is down to my personal taste, but that won’t happen due to her being a vegan and with her now being happy the way she looks. She comes across really nice and was great for even replying to me and didn’t make it obvious that she thought I was weird even though that’s what most people think. 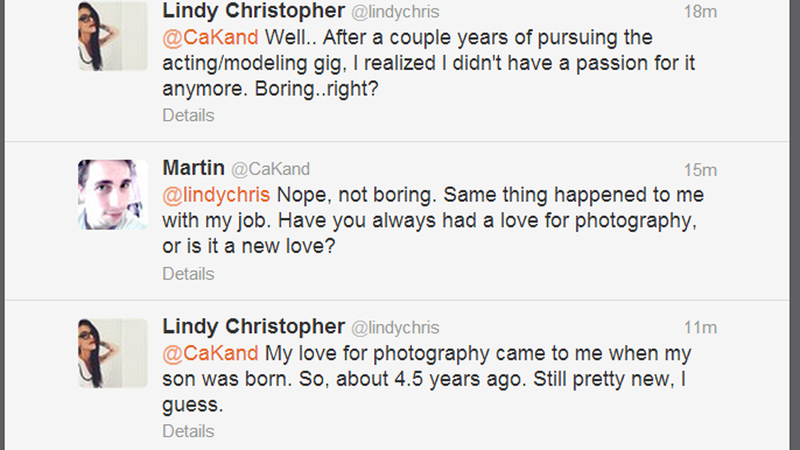 You can see her work on her own website at http://www.lindychristopher.com to see her talented photography skills. Another note for you…she was also in an episode of True Life on MTV called “I’m a Beauty Queen” and was a Hooters employee and apparently was dating Shifty Shellcock from Crazy Town. From random stuff that has stuck in my head for 16 years. LOL.